"Thanks to UNDP we were able to donate lanterns to places we could not otherwise reach." Sunada : Our first contact with UNDP was in April 2011 with the life innovation container and solar lantern donation in the village of Mbola in Tanzania. The 100 Thousand Solar Lanterns Project kicked off the following year and you continued to provide generous cooperation every year for Liberia, Guinea, and Sierra Leone in 2014, Kenya in 2015, and the Democratic Republic of the Congo in 2016. And in 2017, you were very helpful in facilitating the giving of donations to Tanzania, Nigeria, Cameroon, and Guyana. Asano : In Africa, we didn't have a robust network outside of Tanzania where our factories are located, so we faced lots of challenges including transportation to donate lanterns. However, we were very fortunate to meet with the UNDP, and that allowed us to deliver solar lanterns to places we had not previously been able to reach. For that we are truly grateful. 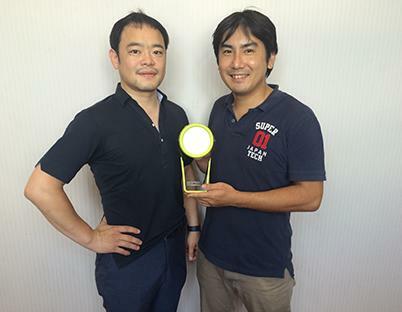 Ishida : It's rare to see a private project that is as long lasting as the 100 Thousand Solar Lanterns project. What's more, I've never seen a project like this in which you build relationships and work with the recipients, donating a few hundred lanterns at a time to reach the 100,000 total, rather than simply donating 10,000 solar lanterns each to ten countries. Also, the donations are being made not to individuals but mostly to communities, workplaces, and schools, which means that the eventual beneficiaries could be dozens of times that number. 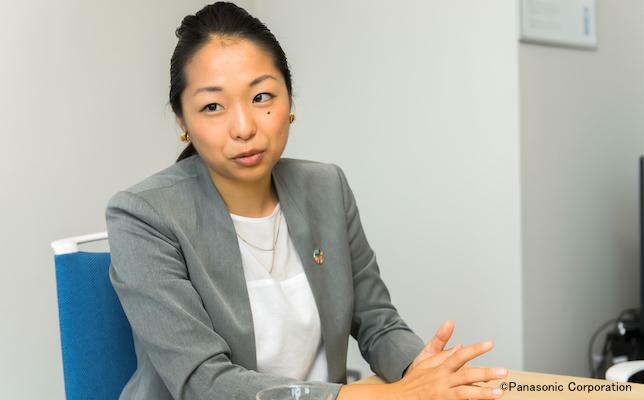 Ishida : UNDP has offices in about 170 countries, giving us a presence in places as a UN organization that would otherwise be difficult for private organizations to access. We have used solar lanterns in projects for health, occupational training, environmental protection, humanitarian aid, education, and cultural preservation, and this project has reconfirmed how important "light" is to communities without electricity. Asano : We are particularly passionate about solving issues related to education, health, self-reliance, and the economy. For example, we often hear that solar lanterns have helped children in off-grid regions who used to study under the dim light of kerosene lamps, concentrate more on their studies and improve their grades. The opportunity to study builds confidence in children, which propels them toward higher education, a stable occupation, and on the path out of poverty. In other areas, we can expect a variety of benefits like helping midwives support mothers in labor in a safe environment, alleviating risks when women go to the toilet at night, and reducing health hazards caused by the smoke from kerosene lamps. 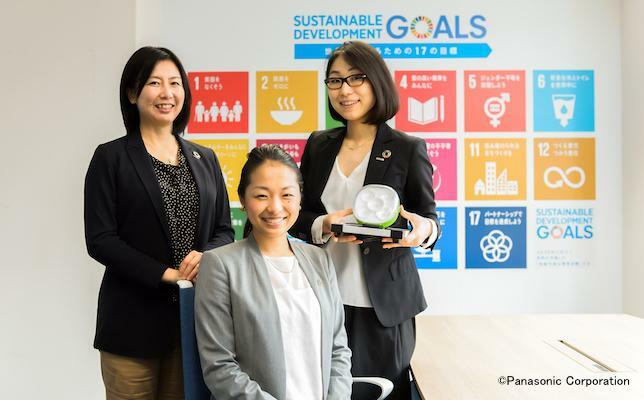 Under the UN Sustainable Development Goals (SDGs), we are donating solar lanterns based on Goal 7 (Affordable and clean energy) in order to achieve Goal 3 (Good health and well-being), Goal 4 (Quality education), and Goal 5 (Gender equality), in our effort to contribute to Goal 1 (No poverty). 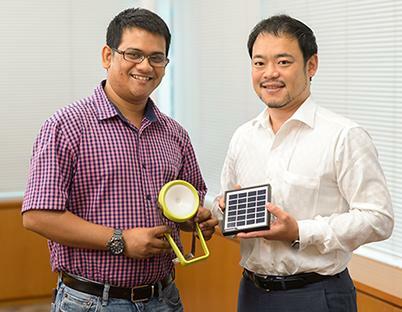 Ishida : Solar lanterns enable a comprehensive approach to solving various issues with light. In terms of achieving goals through partnerships, the lanterns also link to Goal 17 (Partnerships for the goals). Asano : That's right. In fact, it takes a lot of time and effort to search for potential recipients. We travel to the actual destination, meet with partners, choose our recipients, and donate more in the second year to those organizations that provide comprehensive reports. This is the process that we have steadily followed to build relationships. Ishida : I heard that you really make an effort to work directly with your recipients consistently, for example, from identifying recipients to visiting communities of chosen recipients. I think that your process of building new bridges with different stakeholders contributes to your team's gaining various outlooks that would otherwise be impossible to have if one company was working alone. On top of that, it is also wonderful how you report through your website about the impacts of your activities. Meanwhile, I realize the many difficulties you must face in quantifying those impacts . One key factor for success must be how you design follow-up surveys and build systems that allow you to gather meaningful data. Asano : Exactly. It would be ideal if we could go to each location to follow up on the results first hand but that is difficult. Currently, we are working to understand the impacts quantitatively, with the cooperation of recipient organizations. It is rewarding to hear comments like "Solar lanterns are so helpful" and simply "Thank you," but it is really a challenge to get solid numbers. This project has taught us that numbers aren't everything, but also that we do need numbers to move the project forward. 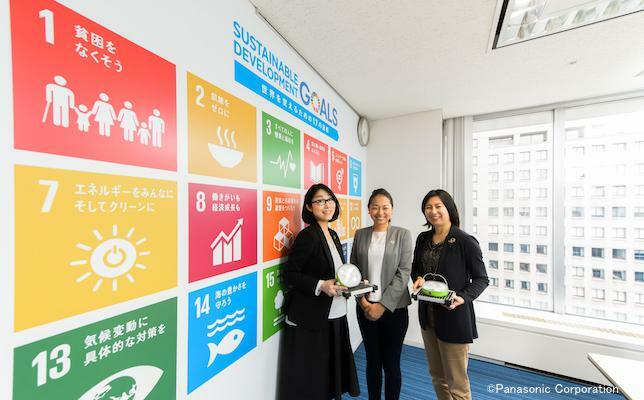 Ishida : The United Nations and UNDP have high expectations for Japanese private companies. One reason is the Japanese concept of "sanpo-yoshi" (benefit for the three) in the business world that defines a "good" business as one that benefits the seller and the buyer while also contributing to society. Additionally, Japan's technical capabilities, as well as Japan's spirit of hospitality are highly recognized by the UNDP. Panasonic is the embodiment of the Japanese corporate spirit and your passion to bring long-term prosperity to the rest of the world, and not just the company, makes you a leading company. Asano : Thank you for the compliment. Solar lanterns can be hung, are easy to carry, and can be stood upright, so perhaps they are full of Japanese "hospitality" in that sense. Our users also appreciate their longevity and ease of use. We hope to contribute to social development by delivering light to those who truly need it. That is our underlying hope. People of the recipient communities using the products and experiencing their benefits could also lead to future business opportunities. In that sense, we feel that this project plays a leading role in the company. 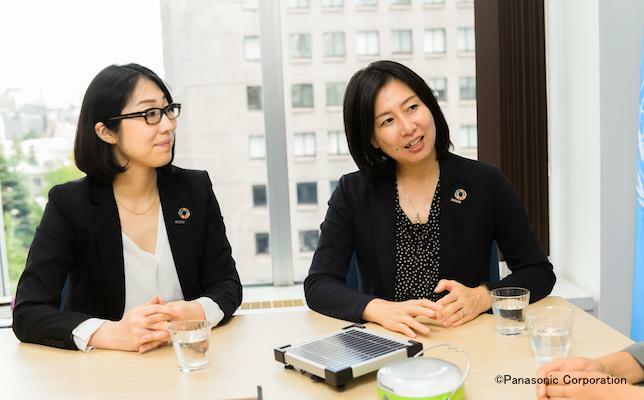 Ishida : You build sustainable partnerships while tackling challenges using the high quality technology, products, and human resources that Japan has to offer, and there are even higher expectations for you in this role than our last interview. Ishida : What are your plans after you reach the target of the 100 Thousand Solar Lanterns Project? 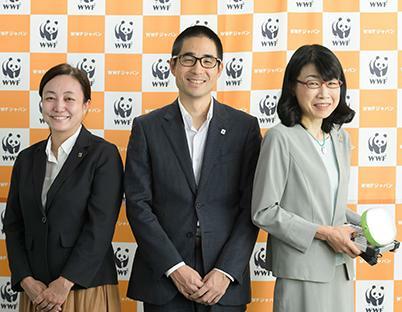 Asano : We will discuss what we can do for the people of the future and contribute to creating a society where as many people as possible can live their lives with a sense of fulfillment. Specifically, we will continue to make these "contributions through light" and leverage our solar lanterns and other products that provide off-grid solutions with actions that go beyond donations. Simply receiving a product will not benefit recipients if the product breaks. In order to prevent that, we want to help the communities achieve sustainable growth, for example, by being able to maintain the products themselves, and to generate some income. UNDP is a pioneer in this field so we would definitely appreciate your continued advice and look forward to continuing to work with you. 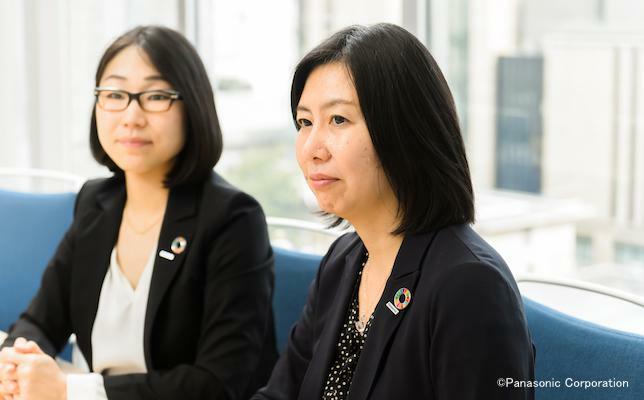 Ishida : Private companies and many other stakeholders are launching activities to achieve the SDGs, and you have much potential to play further active role leveraging partnerships that have been cultivated throughout previous projects. It would be our pleasure to work with you in various ways in the future.